Quinta do Rabo de Palha is a 7-hectare parcel just outside of the city of Castro Verde, in the Lower Alentejo region of southern Portugal. This region is traditionally known for raising free-ranging cattle, sheep and goats and growing grain for feed. The plains in this part of the Alentejo are extensive and far-ranging. Several protected bird species like the buzzard (otis tarda) and the “peneireiro das torres” live here. Birdwatchers love to frequent this area. July and August is usually hot in the Alentejo, however we will be in the shade of olive, fig trees and cork trees on their farm, with a municipal swimming pool nearby and the beautiful beaches of the Atlantic coastline only an hour away for the weekend break. 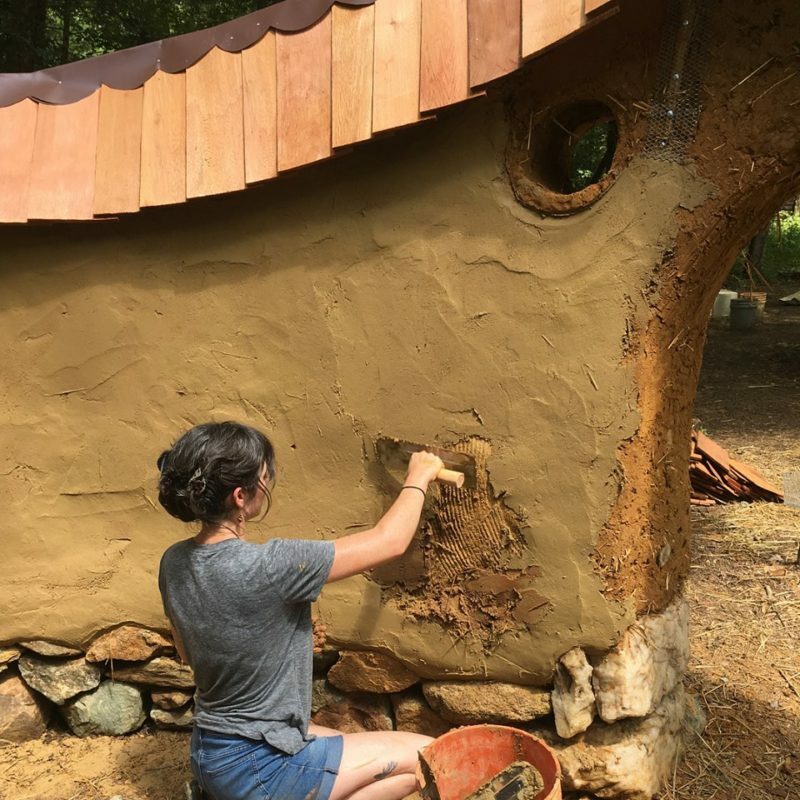 In this protected region, due to all the endangered bird species, the project they have decided on is a beautiful semi-circular outdoor cob kitchen. We will have alot of freedom in design and will be coming in with the foundation already or partially built, as it is a 7-day workshop. 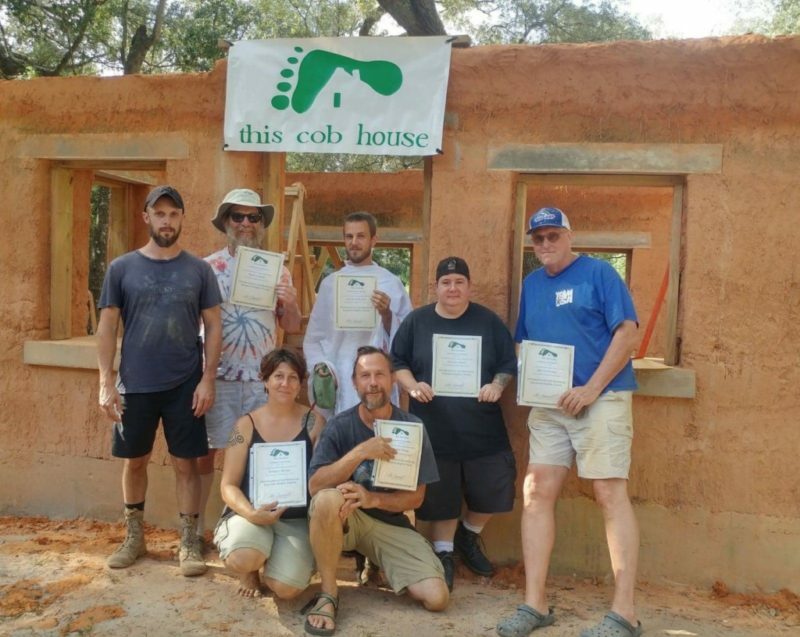 We will build 4-5 foot walls and the roof structure and you will learn EVERYTHING you need to know to build a cob building: windows, shelves, electrical, plumbing, plasters, floor, bottles, sculpting, etc. 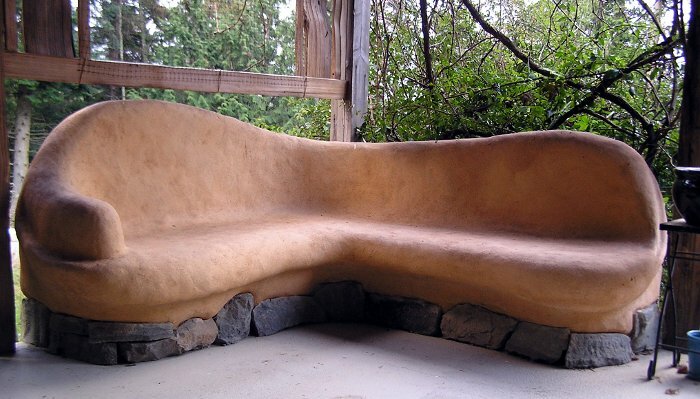 If there is time we will make a mock cob oven! 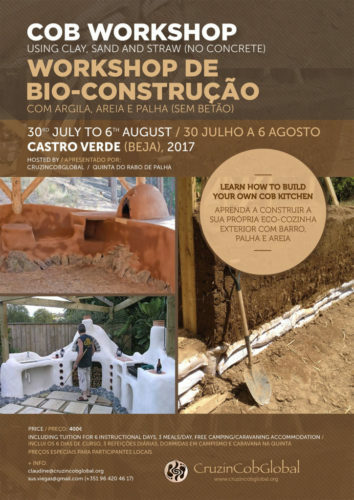 Workshop will be taught in English and Portuguese, as needed, with option for French and Spanish.